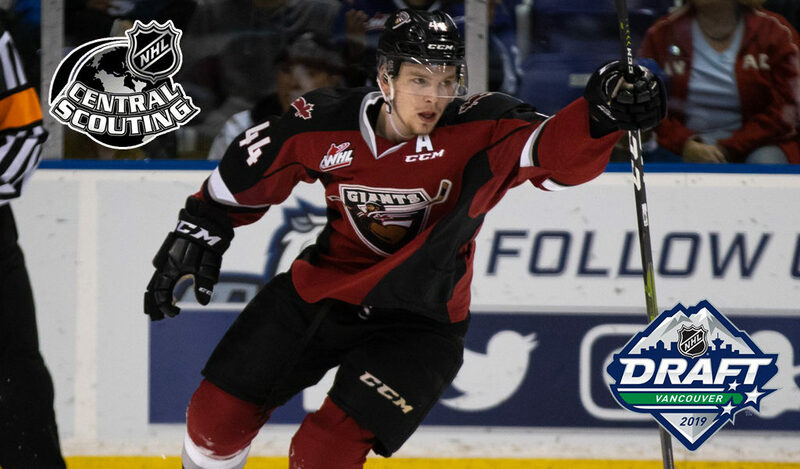 Toronto, ON – The Canadian Hockey League today announced that 130 CHL players have been listed by NHL Central Scouting in their Final Rankings for the 2019 NHL Draft which takes place June 21-22 in Vancouver, BC. The 130 players includes 113 skaters of the 217 ranked by NHL Central Scouting in North America while 17 of the 31 goaltenders ranked are also from the CHL. In total, 52% of all North American players ranked by NHL Central Scouting are currently competing in the CHL. 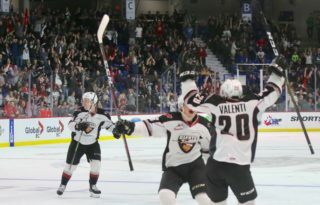 20 of the top 31 ranked North American prospects are from the CHL led by the Western Hockey League trio of Bowen Byram (2nd, Vancouver Giants), Kirby Dach (3rd, Saskatoon Blades) and Dylan Cozens (5th, Lethbridge Hurricanes) followed by winger Arthur Kaliyev (7th, Hamilton Bulldogs), forward Peyton Krebs (10th, Winnipeg ICE) and blueliner Thomas Harley (11th, Mississauga Steelheads). 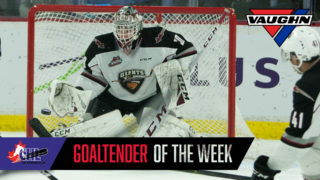 The WHL leads the way with four players ranked inside the top-10 while also producing a CHL-leading 10 ranked netminders. 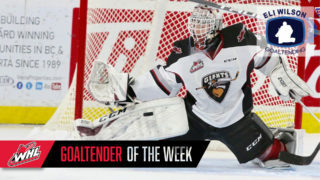 The WHL produced the CHL’s top-ranked goaltender in Mads Sogaard (Medicine Hat Tigers) who comes in as the second ranked North American netminder. 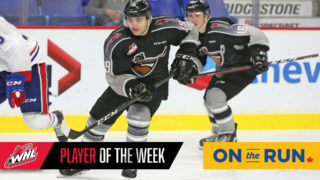 Other WHL standouts featured prominently on the list include defenceman Lassi Thomson (15th, Kelowna Rockets), winger Brayden Tracey (21st, Moose Jaw Warriors), 19-year-old forward Brett Leason (25th, Prince Albert Raiders) and defenceman Matthew Robertson (26th, Edmonton Oil Kings). The OHL led the three leagues with 43 skaters included in the rankings. A trio of forwards including Philip Tomasino (14th, Niagara IceDogs), Nick Robertson (17th, Peterborough Petes) and Ryan Suzuki (18th, Barrie Colts) joined Kaliyev and Harley inside the top-20 while Hunter Jones (3rd, Peterborough Petes) was the league’s top-ranked netminder. The QMJHL featured 30 players on the list with late 2000-born winger Raphael Lavoie (20th, Halifax Mooseheads) joining other forwards in Samuel Poulin (22nd, Sherbrooke Phoenix), Jakob Pelletier (27th, Moncton Wildcats) and Nikita Alexandrov (29th, Charlottetown Islanders) inside the top-31. Colten Ellis (8th, Rimouski Oceanic) is the league’s top-ranked netminder. The Edmonton Oil Kings and Kelowna Rockets led all CHL clubs with five players included in the rankings followed by the Barrie Colts, Flint Firebirds, Kitchener Rangers, Seattle Thunderbirds, Val-d’Or Foreurs and Windsor Spitfires with four each. 59 of the CHL’s 60 clubs have at least one player included in the rankings. 134 CHL players were listed in NHL Central Scouting’s Midterm Rankings released in January, while 78 players from the CHL were selected in the 2018 NHL Draft including 13 players selected in the first round.